My Harley is really sick. 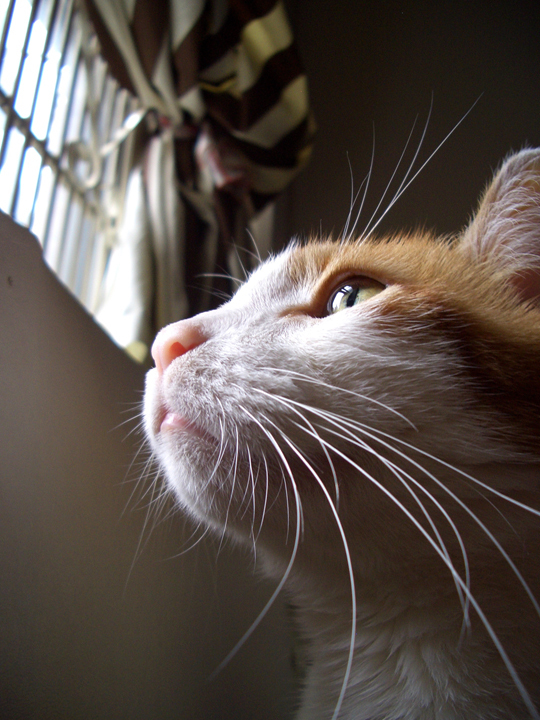 The loss of one pet—who has been around for 15 years—is difficult enough. I’m trying really hard to make the right decision for My Boy. Really trying. Where Peepers was a lover, Harley is a FIGHTER. And I’ve asked my Vet to be very frank with me. If we have done what we can, and we know Harley will suffer… I am going to prepare myself for another difficult decision. He just needs to eat. And poo. And it will make it easier to manage his failing heart. I hurt for him. But under my compassionate Vet’s guidance, who is not giving up on him, I cannot either. Posted on April 5, 2010 April 5, 2010 by gadorawilderPosted in MusingsTagged Harley, Heart Disease, House Cat. Next Next post: 17 Things I LOVE about Harley. Turns out Harley didn’t have a failing heart. Tuesday’s Cardiologist said so. His ticker was fine, but cells pulled from the fluid in his lungs suggested cancer. Carcinoma—the BAD kind. He would not eat. And thus, was not getting better. Friday was a decidedly horrible day. But we did it, he and I. Alone. There was simply no fight left in him. Oh this is the hardest decision one has to make, and to have to make it twice in the last few weeks is even worse. Just remember the love he has given you, and give that back to him. Treat him as you would like to be treated. Sometimes these days we can be more humane with animals than we can with our own family. But I am the first to say that our pets are one of the most important aspects of family. I feel for you and hope that your decision comes without a heavy heart.